Your toddler may develop blisters on her face for a variety of reasons, from chicken pox to impetigo or the Coxsackie virus. While rashes on the face are common for young children and may have causes as benign as excessive drooling, blisters on the face typically indicate a viral or bacterial infection. Take your toddler to the pediatrician for evaluation as soon as possible, as many infections that can cause blisters are highly contagious. The varicella vaccine has reduced the amount of childhood chicken pox cases, but your toddler still can contract chicken pox if she hasn't been vaccinated or even, rarely, if she has. Chicken pox is caused by the varicella-zoster virus and is characterized by red bumps and blisters all over the body, as well as flu-like symptoms. Chicken pox usually is not a serious illness, and it goes away on its own, but in rare cases it may develop into shingles later in life. If your child's blisters have formed in clusters around his mouth and nose or if they are crusted with brown scabs or leaking fluid, he probably has impetigo. Impetigo is a bacterial infection caused by one of two kinds of bacteria: Staphylococcus aureus or Streptococcus pyogenes. 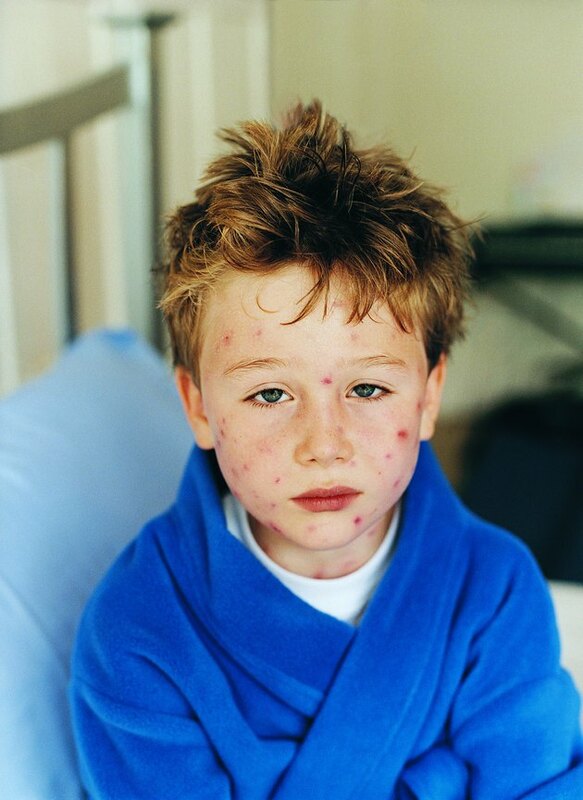 Impetigo is treated with oral antibiotics and topical creams. It is highly contagious, so keep your child away from other children and wash your hands thoroughly before and after you apply his ointments. The Coxsackie virus causes hand, foot and mouth disease, which is characterized by sores and blisters in the mouth and on the hands and feet. This illness results in high fever, fussiness, pain on the affected areas and drooling. Because Coxsackie is a virus, the pediatrician cannot treat it directly. However, you can minimize the discomfort and prevent complications by keeping your toddler hydrated and giving her ibuprofen or another age-appropriate pain reliever. Always contact a pediatrician if your toddler develops blisters on his face. The pediatrician can identify the illness and treat it if it is bacterial, such as impetigo, or she can monitor your child for complications and inform you about the best ways to relieve your toddler's discomfort and prevent the infection from spreading to the rest of the family. Seek medical attention immediately if your toddler develops a high fever, such as a fever of 103 degrees Fahrenheit or higher, or begins to exhibit signs of dehydration such as pale lips or extreme thirst. Should You Swim With Impetago?